I’m 35 years old and now understand what it means to try and fight the signs of aging. I strive to eat properly, get plenty of sleep and take care of myself as best as I can. Part of my regime is looking after my skin, but I never really thought much about my hair. I visit the hairdresser every 2 months to cover the grey that’s popping up, but I haven’t in the past used any special products to fight the aging process. I also noticed that the texture of my hair is changing as more grey crops ups. It’s thicker and feels coarser. My hair has always been so fine and thin, so it’s a little alarming to have this totally new kind of hair to deal with. My hair is also curlier than it used to be. It’s strange how aging can change your hair that much. I recently discovered KEVIN.MURPHY.YOUNG.AGAIN anti-aging hair care collection designed specifically to help combat the aging process by renewing hair’s lustre and shine. I was intrigued and wanted to give it a try to see what effect it would have on my aging head of hair. On a sidenote: I found it interesting to learn that Kevin Murphy is a world famous hair stylist who invented the “beach hair” look! Six Australian Rainforest Fruit Extracts: These extracts are rich in vitamins and essential fatty acids and flourished even in a harsh climate. Baobab Seed Oil: Provides moisture and improves elasticity and tone. Orchid Flower Extract: It’s rich in protein, reinforces hair strength and provides intense hydration. Immortelle: It has extraordinary healing qualities and great regenerating ability. It’s also an antioxidant. Lotus Flower Extract: It helps to protect hair from moisture loss and is rich in protein to leave hair soft and supple. Kakadu Plum Extracts: It is a potent antioxidant that is essential for the repair of damaged hair. Phospholipids: It creates a skin like barrier to lock in moisture. Bamboo Extracts: Bamboo is known for its restorative effects and also adds a natural shine and lustre to hair. I received five products from the YOUNG.AGAIN. hair care collection to try. YOUNG.AGAIN.WASH has Immortelle and Baoabab to gently clean, soften and restore the hair. It also preps the hair for the next set of products (the rinse and masque). I love the rich lather and the soft floral scent. YOUNG.AGAIN.RINSE has Immortelle and Baobab and is formulated to lock down the cuticle and keep moisture in. I liked that my hair didn’t feel greasy and wasn’t weighed down. In fact, after my hair dried, it had a nice bounce to it and looked healthier. YOUNG.AGAIN.MASQUE is a deep conditioning masque with Immortelle and Baobab to soften and repair dry, brittle and damaged hair. It’s heavier than the Rinse and therefore shouldn’t be used everyday. I’ve started using it once a week and I notice that my hair feels incredibly soft and has a pretty glossy, shine to it. It’s also extremely easy to comb wet hair after using the masque! 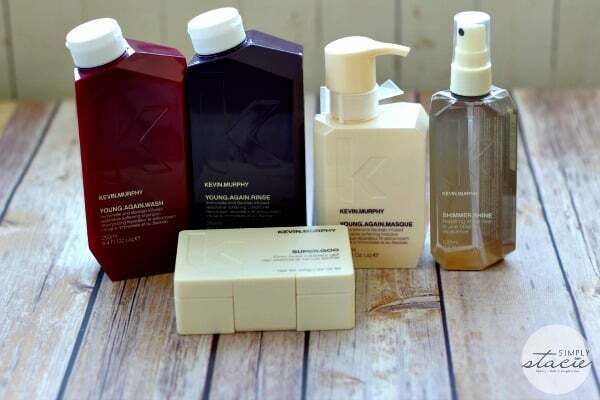 I also tried a treatment and styling product from KEVIN.MURPHY. SHIMMER.SHINE is a hair repairing finishing mist that treats hair with Vitamins A, C and E, Baobab, Immortelle and Bamboo extracts. You can even see a gold glitter swirling around inside the bottle. It uses light reflective technology to add shine and leaves no oily residue. I spray it on after I’ve style my hair to set everything in place. Usually I just straighten my hair and this product completes the look and keeps those flyaways at bay. SUPER.GOO is firm hold rubbery gel made with Green Tea, Bamboo and Nettle extracts. It will hold your look in place with no flake and a natural finish. You can use it on dry or wet hair. John has been styling his hair with SUPER.GOO and he likes that it doesn’t make his hair feel “crunchy” like some gels do. He also thinks the texture is pretty neat and has a little too much fun styling his hair! So far I’m loving the results of using the YOUNG.AGAIN product line. My hair looks and feels healthier and is more manageable. Now I just have to go back to the salon after Christmas to cover the darn grey and I’ll be set! You can find the KEVIN.MURPHY YOUNG.AGAIN hair care collection at salons across Canada. The SRP for the WASH & RINSE is $35 and the MASQUE is $49. They cost salon prices, but the quality and results make it worth it in my opinion. I eager to see how these products work. Would love to try them all-I”m 46 and this looks like it might do the trick! i want to try the shimmer shine! I am most excited about trying the Young.Again.Masque because my hair is so dry and damaged due to coloring it for years. I’m most looking forward to trying the Shimmer Shine. I am most looking forward to the Young Again Masque. 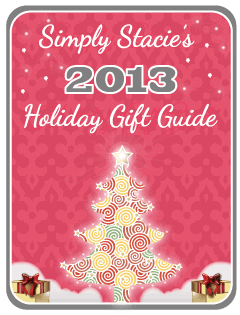 I am most looking forward to trying the Shimmer Shine! I would like to try the masque. OOOOOhhh!!! The ShimmerShine – how luxurious. I’m looking forward to the young again masque. I would like to try the masque. My hair is thin and boned and could use some help. I’d love to try the Young Again Masque as my hair is prone to frizz. I’m excited to try the masque. My hair could use some pampering! I’m most excited to try the Masque – my daughter’s hair NEEDS it! The Young Again Wash. New shampoos are my downfall in the search for the perfect one. Could this be it? Most excited about the masque! YOUNG.AGAIN.MASQUE, as my hair could definitely use some repair especially with this harsh winter it is getting abused in. I so want to try the Young Again Masque! I’d love to try the Masque. Shimmer Shine but the Masque sounds great as well. Thank you. The wash and rinse, i could use some bounce.